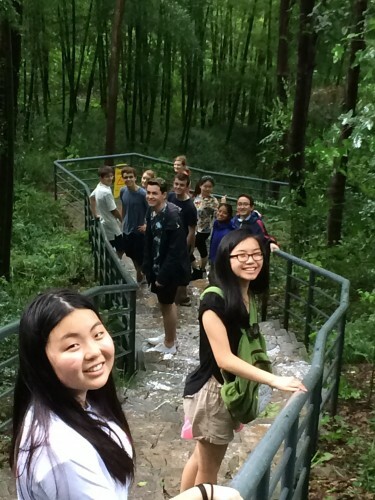 On July 10, 2015, NSLI-Y China students in Shanghai took an excursion to Nanjing, where they spent two days at a local school and interacted with Chinese students through sports; performances; lessons on Chinese characters; and a hike to one of Nanjing’s famous tourist spots, Tang Shan. 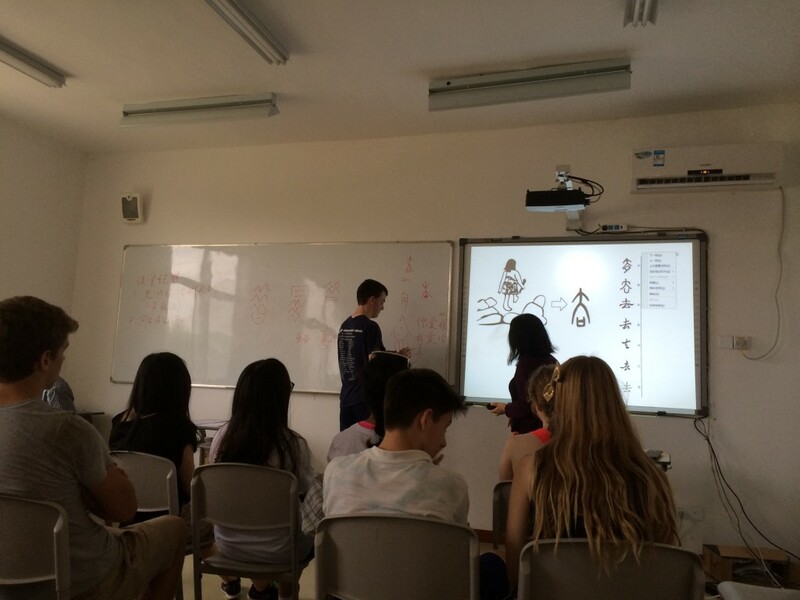 NSLI-Y China summer students learn about Chinese characters. 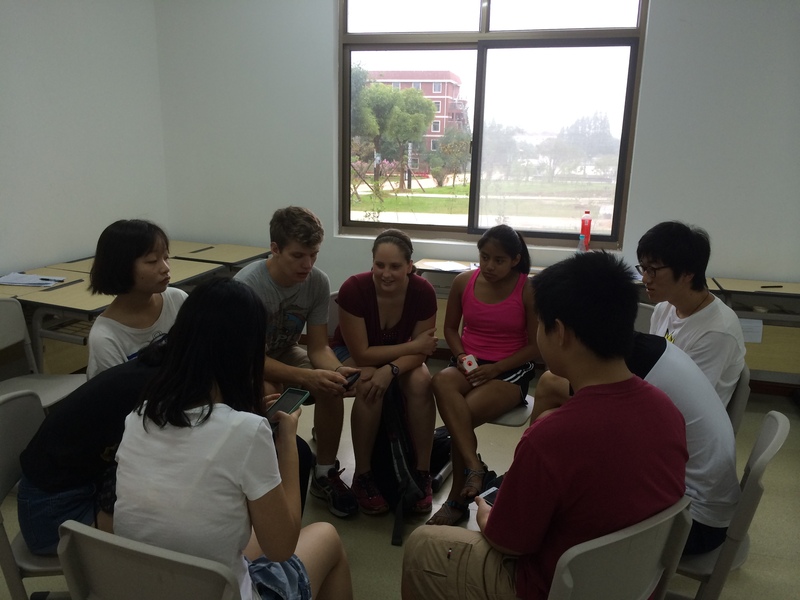 The students participate in a discussion with their Chinese peers. The students pause during their hike to Tang Shan. 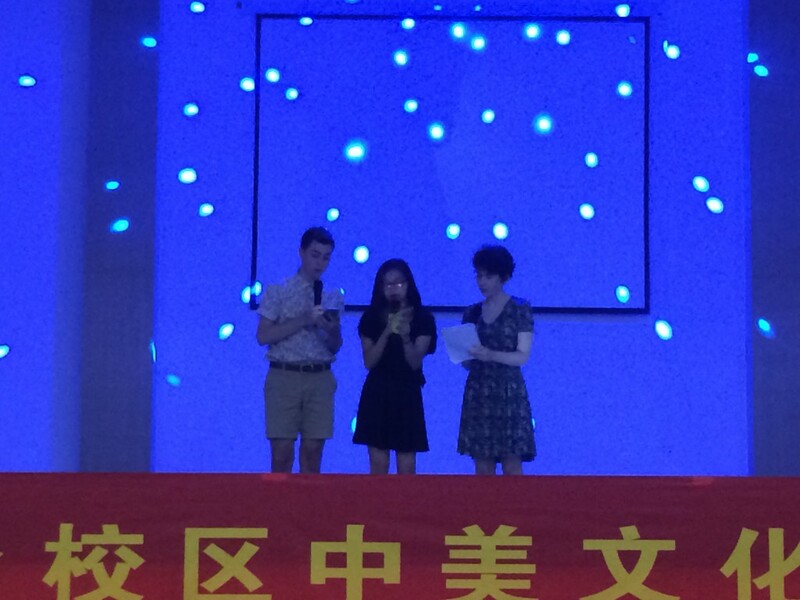 During their stay in Nanjing, two students, Noah and John, were interviewed by journalists from the local television station. They talked about their Chinese language learning and what they had seen and learned in China thus far. View the video clip of the students’ interview above. The students perform on stage.